2013 INDIEFAB GOLD/2014 IPPY BRONZE: In 1882, a young IL schoolteacher is brutally gang-raped and left for dead. She survives but her recovery is slowed by hysteria, amnesia, and unusual physical complications. 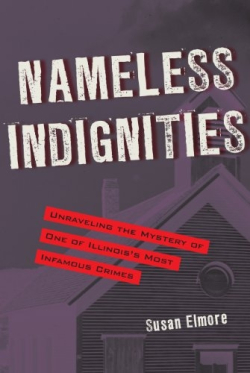 Some of her wounds are so appalling that the press refers to them only as “nameless indignities.” The case spawns an attempted lynching, two suicides, and rumors that the victim lied. More shocking surprises surface post-trial, with the mystery persisting well into the 20th century.